We love talking about our students and one who stands out is Olivia Chipepo. She has volunteered for several MNDC events for the past few years and participated in some of our programs such as the Career Development Institute (CDI, formerly known as Project Life). She found CDI to be enjoyable and informative because it focuses on enhancing real-life skills. During the program, she learned about business and resume writing, interviewing techniques, business attire, improving communication skills and customer service skills. Completing it gave her a sense of accomplishment. Olivia will be going to college next year and plans to major in communications. 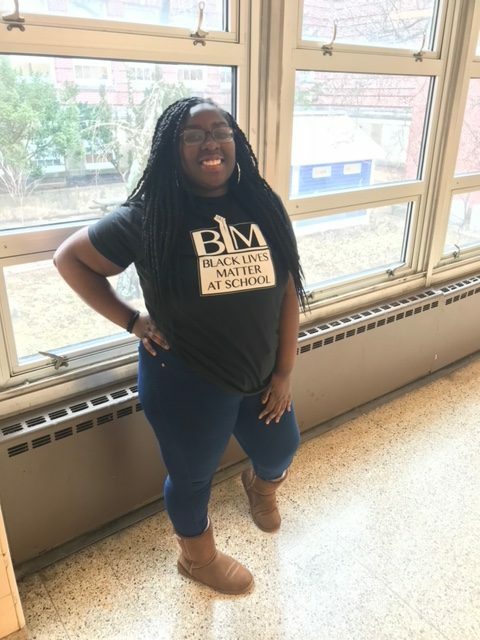 She has received acceptance letters from Hofstra University, University of Hartford (Honors Program), Rider University and Stockton University but has not yet decided which university she will attend. She credits the MNDC staff with assisting in her personal development and many of her successes. In particular she is grateful to Ms. Dunn, Director of Student Affairs, who gave her the opportunity to assist students in the after school program; Ms. Anglin, CDI Program instructor, who was one of her biggest cheerleaders and provided her with valuable information; and Ms. Guthrie who imparted life lessons to assist her along the way. We will miss Olivia’s involvement with MNDC but know that she will continue helping others in need. She is well-positioned to succeed as she continues her journey at college and we look forward to hearing from her.